While gold and silver have been used as money for thousands of years, platinum too has served as an economic store of value. Platinum has the most industrial uses of the three, and is least recognized for its monetary properties. 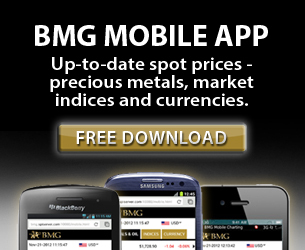 Including all three precious metals in a portfolio provides greater diversification within the precious metal asset group and thus reduces volatility, as each metal has unique economic properties. In the bull market of the late 1970s, platinum matched the gains of both gold and silver, which suggests that platinum was acting as a monetary asset during this inflationary period/dollar crisis. Although platinum coins were used in Russia in the nineteenth century, the scarcity of platinum, combined with its much higher cost of production, make it a poor choice for this purpose. It has, however, served as a store of economic value for 300 years. Platinum is the rarest of the precious metals and its price reflects this. It takes approximately ten tonnes of ore and six months of mining to produce a single ounce of platinum. Platinum is 30 times rarer than gold. Unlike gold and silver, which are mined in almost all areas of the world, most of the world’s platinum comes from only two countries – Russia and South Africa. All the platinum ever mined would occupy a space of approximately 25 cubic feet. Since 1997, demand for platinum has exceeded mine production and global platinum demand continues to grow to record highs. Unlike gold, there are no large aboveground supplies of platinum. Currently, South Africa accounts for 80 percent of the world’s annual production of platinum and contains 88 percent of the world’s platinum reserves. This is one reason why platinum prices can be more volatile than either gold or silver prices—they are especially sensitive to political unrest in South Africa. Platinum has many more industrial uses than gold or silver. Unlike gold, over 50 percent of the platinum produced is consumed (destroyed) in industrial applications. Platinum is indispensable for many industrial uses, such as catalytic converters in diesel engines. As the oil price increases, demand for diesel engines increases, and so does demand for platinum. According to a study by Wainwright Economics, a Boston-based investment research and strategy firm, platinum is the leading indicator of inflation. While gold and silver lead inflation by 12 months, platinum leads by 16 months. This was confirmed in the current bull market: the rise in platinum prices started in 1999, while gold and silver began to rise in 2001. The above factors confirm that platinum deserves its place alongside gold and silver in portfolios. 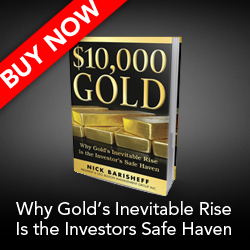 Having all three precious metals increases diversification, lowers risk and provides the ultimate in portfolio protection from the economic crisis that is today’s financial reality.